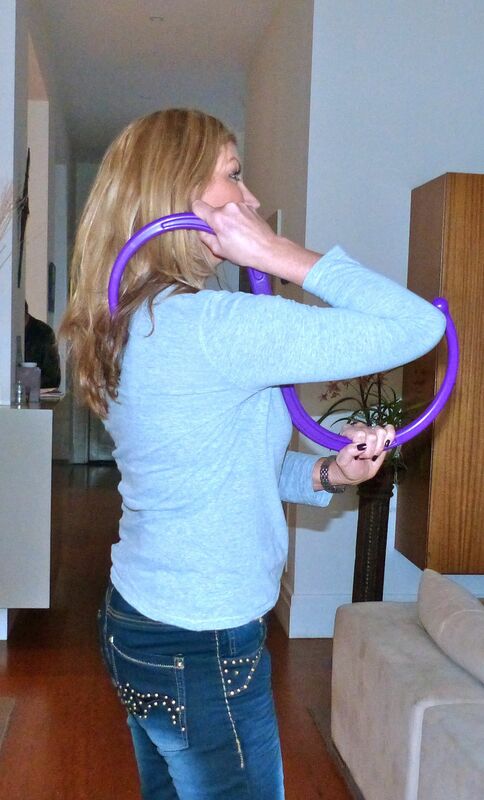 When I first saw the mother’s day present Fletch had chosen for the kids to give me this year, I can’t really tell you what I thought… I took off the wrapping paper to reveal a weird looking S-Shaped purple plastic device – what the hell??? Fletch held it out proudly, declaring he’d discovered the solution to my back pain woes. He’d bought me a BACKNOBBER. And not just any Backnobber. It was the Backnobber MARK TWO. I smiled nicely, trying to appear enthusiastic and failing. How on earth could something so simple actually help with the complex physical condition I was enduring that related to disc issues and nerve endings? What a STUPID present… It didn’t even come with batteries. Sure, I’ll give it a go…??? But it was a mother’s day present. I had to try. It took a while to get the positioning right, but after several attempts, it started to make sense. If you hold one end of the S-shaped device in one hand and get it on the right spot where you feel the discomfort, then pull down on the curve in front of your body, the pressure applied actually DOES have a massaging effect. You can also move the Backnobber around very easily to treat various spots on the back and feel the instantaneous relief. I was amazed. It actually worked! Sometimes the key to a successful gadget really does lie in its simplicity. So why, might you ask, have I decided to blog about something that was a gift WAY back in May? Well, it just so happens that I’m on holiday right now with the kids and didn’t pack my Backnobber and my back is missing that simple purple device. Which must be proof that it actually does work. Given that 80% percent of the world’s population suffers from back pain at some point in their lives (according to Dr. Jeffrey Katz, M.D., M.Sc., a leading back specialist at Harvard Medical School) then I reckon there’s plenty of readers who might like to know about this. Fletch first learnt about the amazing Backnobber from his on-screen wife, Jackie Woodburne (aka Susan Kennedy), and let’s face it if TWO wives of a well-regarded doctor think something works, then we MUST be on to something. 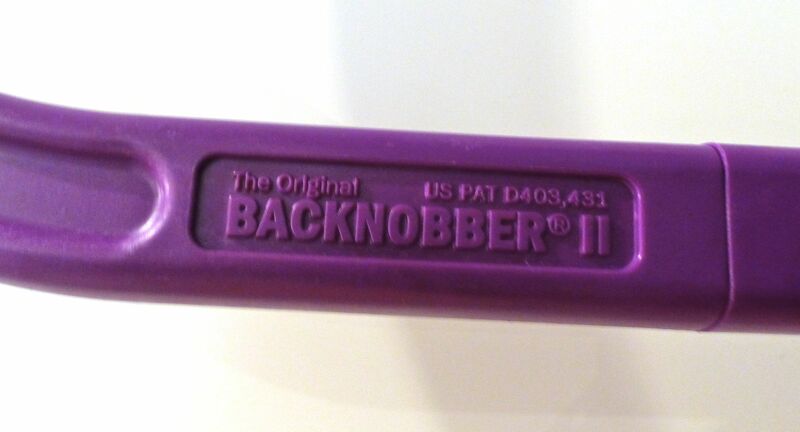 If you’d like to find out more about the Backnobber, Fletch bought it from The Massage Warehouse in at 361 North Road, South Caulfield, Victoria. (PH: +61 (03) 9502 7693) Or you can visit the company website on http://massagewarehouse.com.au and order a Backnobber on-line. Right now, they’re on sale – reduced from $65 to $56. And no, I don’t get a commission. I’m just sharing because I hope it helps. Good luck. Enter your email address to subscribe to this blog and receive notifications of new posts and updates. When art, fashion and luck collide… with a dash of DIOR.